Acquire Talent collaborates with top management to determine the type of talent that is needed for their company model. 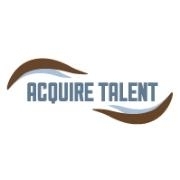 With a presence in NY, Florida, Chicago and more, Acquire Talent has the reach necessary to bring you to the talent you require to grow and thrive in the staffing industry. Acquire Talent doesn't have any jobs listed right now. Check back soon!